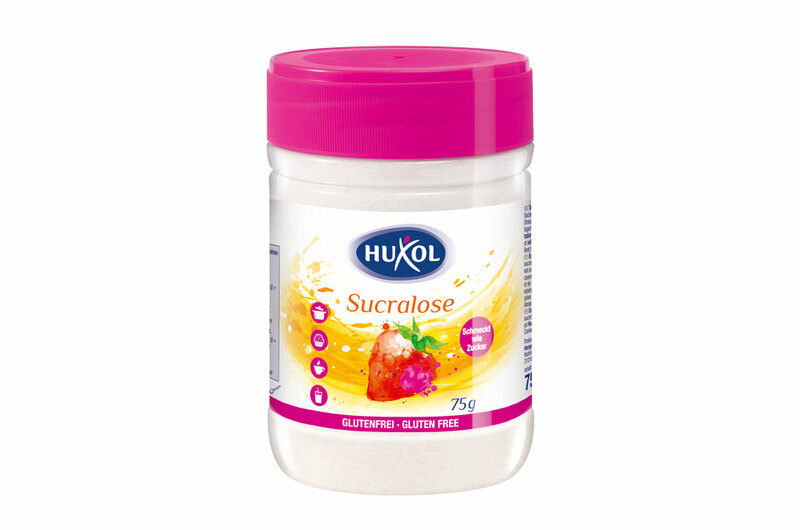 HUXOL Sucralose granulated sweetener can be used in the kitchen very easily as a calorie-reduced sugar alternative in a wide variety of ways, while remaining extremely convincing in its taste. The light and finely granulated product tastes intensely sweet and is ideal for low-calorie sweetening of fruit salads, mueslis and yoghurts, as well as for baking. As a substitute for powdered sugar, HUXOL Sucralose granulated sweetener can also be used for sprinkling and decorating waffles, tortes and cakes. HUXOL Sucralose granulated sweetener is very easy to measure by the spoon – one spoon of Stevia is equivalent to one spoon of sugar.